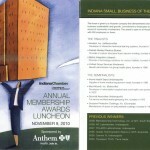 November 9, 2010 DeKALB Molded Plastics attended The Indiana Chamber Annual Awards Luncheon where they were honored as a finalist for the IN Small Business of the Year Award. 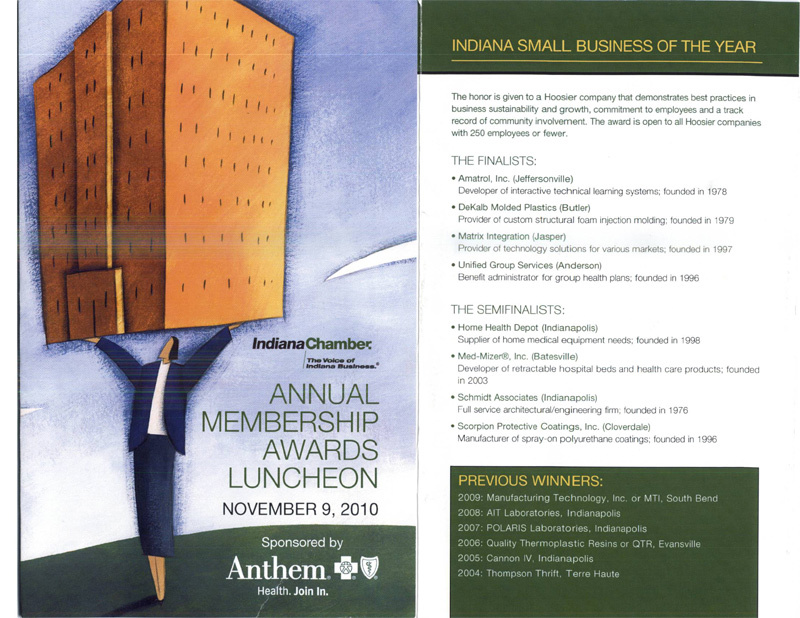 This annual award is given to a Hoosier company that demonstrates best practices in business sustainability and growth, commitment to employees and a track record of community involvement. The award is only eligible to companies with fewer than 250 employees. Unpronounced to us, four companies were included in the "Semi-finalist" category. DeKALB being honored as a finalist for the first year of submission is a wonderful accomplishment. 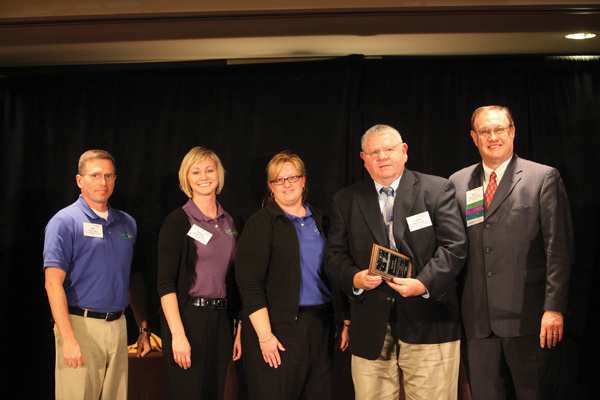 Congratulations to the whole team at DeKALB!